A truck driver from Lansdale, Pennsylvania found out that his fate is worse than expected after pleading guilty to felony charges of possession with intent to deliver marijuana and conspiracy to possess and deliver marijuana. On Friday, 44-year old Andre Christopher Lue was sentenced in a Montgomery County court to 15 months already served to 23 months in the county jail, but the judge had worse news for the Jamaican native after he accepted the plea agreement. “There are, perhaps, immigration consequences here. Your status may be affected,” Judge William J. Furber Jr. said. “He is to be paroled to his immigration detainer immediately.” And with that, Lue was led from the courtroom in handcuffs and into the custody of federal immigration officials. The case stems from an incident in September 2011, when Lue was working as the owner/operator of Road Star Transportation trucking company and the Lansdale Police alleged they discovered 223 pounds of pot inside his tractor-trailer and pick-up truck. According to court documents, the Lansdale police were on routine patrol at the Pavilion Shopping Center on the night of September 28th, when they noticed a tractor-trailer parked along a fence line in the parking lot. They also noticed one of the trailer’s rear doors was opened and a silver Toyota Tacoma pickup truck had been backed up to the rear of the trailer. Police then saw an individual load something from the tractor-trailer into the pickup truck and as they moved in closer, the pick-up truck fled the scene. They later found the silver Tacoma pick-up abandoned on a nearby street and K-9 units were able to detect the odor of illegal drugs several times around the side of the truck bed and the rear tailgate. 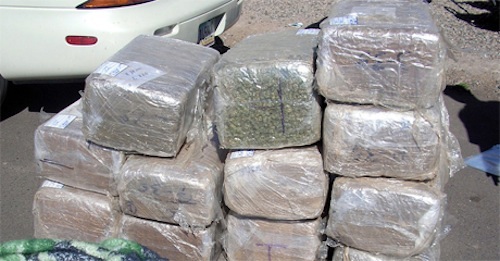 This allowed police the probable cause needed to impound both the pick-up and the tractor-trailer, and they ended up finding seven large bales of marijuana wrapped in cellophane inside the Tacoma, and two others similarly wrapped in the rear portion of the tractor-trailer. According to court documents, the marijuana weighed approximately 223 pounds and had a street value of approximately $230,000. That night Lue was also eventually found in the hallway of a nearby apartment building and at the time of his arrest he informed police that he was a self-employed cross-country truck driver with routes from California to the East Coast. “The defendant in this case had, at the time, a legitimate truck driving business. However, he used his business improperly by having marijuana in his truck and bringing it into Montgomery County,” said Assistant District Attorney Samantha Thompson in court papers. 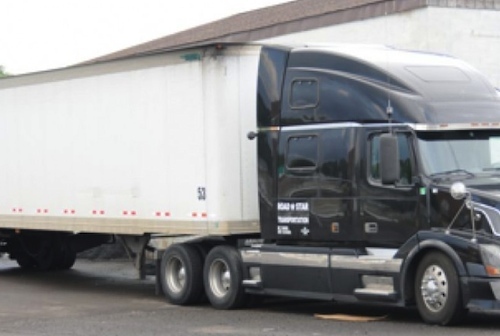 Although Lue is a Jamaican native, he had been living in the US legally and operating his trucking business legally for a number of years prior to his arrest. However, the U.S. Immigration and Customs Enforcement, (ICE), had filed a detainer against Lue during his time in police custody and on Friday, he was transported to federal custody where he will face a deportation proceeding at a later date. His defense lawyers, Perry DeMarco and Wayne Sachs, said that Lue is also a father of two and that his conviction and possible deportation will likely severely affect child custody matters in his future as well. He made his bed.....now he has that lay in it. To bad he has children involved that will never see their dad in this country again.